If you’re trying to learn English on your own but are feeling overwhelmed by all the options, here are 3 of the best sites for finding free English courses online. 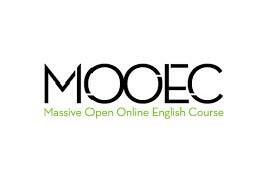 Alison has a huge variety of (ad-supported) free online English courses for learners of all levels. The courses are self-paced, so you can study as quickly or slowly as you like. When you have successfully completed a course, you have the option to pay a fee for a diploma certificate. If you don’t like seeing the ads, you can pay a small fee for ad-free access to all course materials for a full year. 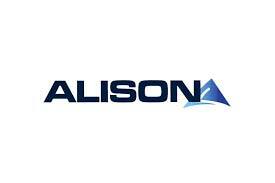 Have a look at the English grammar courses on Alison, if grammar is your thing! This introduction to business and travel English course should get you up to speed with your travel English if you have a trip coming up. This IELTS listening course gives you listening practice for the IELTS test. Common Mistakes in English is aimed at intermediate learners and above. You’ll learn how to avoid some very common mistakes in English. It focuses on the kind of mistakes that particularly annoy careful users of English, such as the difference between it’s and its, the correct use of subject and object pronouns like me and I, etc. This Elementary English Course is aimed at beginner to elementary learners. It is quite comprehensive, with more than 90 lessons and 18 hours of content. One disadvantage of online self-paced courses is that you generally don’t get any interaction with a teacher or other learners. Of course, if you complement your online studies with speaking practice with a teacher or tutor on italki, then you get the best of both worlds! But if that isn’t possible for you, FutureLearn provides opportunities for teachers and learners to interact. Many of the courses have specific start dates, so you will be learning together with with a group of other learners. It looks like a great way to connect with other learners to practice your English. If you would rather study on your own and at your own pace, there are some self-paced, self-guided courses on FutureLearn as well. Most of the courses are provided by colleges and universities, and it is possible to purchase a certificate of completion once you have completed a course (even if the course itself is free). 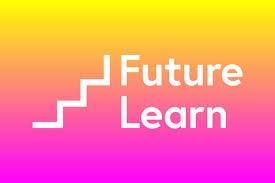 FutureLearn seems to be aimed mainly at English for academic purposes, so if you aim to enter the academic world in English, this should be your first stop to look for courses. to get ready for your academic writing in English, you could take this course on writing in English for university study. If you will be taking the IELTS, there are several IELTS prep courses on FutureLearn, such as Cambridge English IELTS and Understanding the IELTS. It’s of course possible to study and learn English on your own, without a course or a teacher. If that’s what you’re doing and it’s working for you, then keep on truckin! But some learners need the structure and security of a course to keep them on track (which is totally OK, by the way). If you are feeling overwhelmed by options and having trouble structuring your English learning, the links above are a great starting point. Have fun and good luck! This entry was posted in blog, Learning resources by Lori.